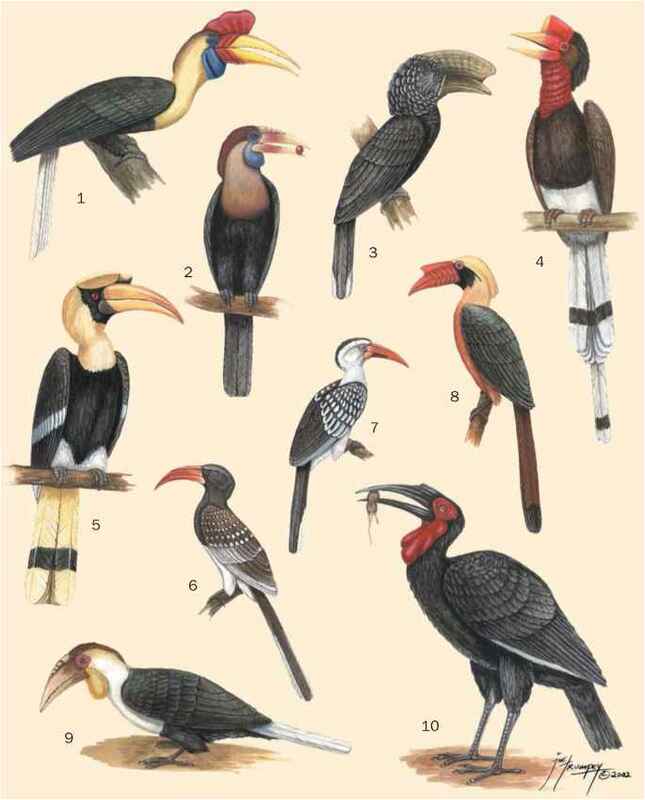 Passeriformes, the largest order of birds, is divided by tax-onomists into two groups: the suboscines and the oscines. Tyrannidae belong to the suboscines and is the only member of this primarily Central and South American group whose distribution extends into North America. Suboscines and os-cines differ in the following ways: suboscines have a simpler syrinx (the respiratory-tract structure that produces sound); the small bone that transmits sound through the middle ear is differently shaped in the two groups; the mitochondrial DNA is differently organized; and oscines learn their songs while suboscines do not. Taxonomists recognize four Tyrannid subfamilies based on skull and syrinx characteristics. The subfamilies are loosely enough defined that future classification modifications seem likely. The subfamily Elaeniinae (tyrannulets and elaenias) includes more than 180 species, and all but one—the northern beardless tyrannulet (Camptostoma imberbe)—breed in Central and South America. The subfamily Platyrinchinae (tody flycatchers and flatbills) includes genera exclusive to Central and South America. The subfamilies Fluvicolinae (fluvicoline flycatchers) and Tyranninae (tyrannine flycatchers) include genera from across the Tyrannid distribution. Two newly recognized Tyrannid genera, the becards (Pachyramphus) and the tityras (Tityra), had not been placed in subfamilies as of 2001. 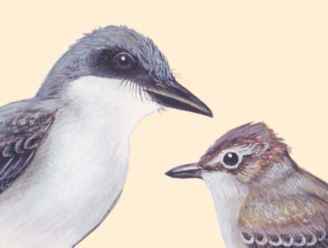 These two genera were formerly classified in the family Cotingidae. The Tyrannidae, with 110 recognized genera and 375 species, form one of the largest bird families; indeed, the family has the largest number of species among Western Hemispheric birds. Many genera contain species that are nearly indistinguishable by sight and can be identified only by their distinct vocalizations. Divisions of what was formerly recognized as one species into two have occurred in numerous cases, as differences in vocalizations have allowed the identification of two non-interbreeding groups. For instance, the former Traill's flycatcher now consists of the alder flycatcher (Empidonax alnorum) and the willow flycatcher (E. traillii). These two species differ only in vocalization. Previously unknown tyrant flycatchers continue to be identified, sometimes several per year, and often due to their distinctive vocalizations. Most newly identified tyrant flycatchers are resident in South America. Nest structure is also a useful indicator of phylogenetic relationships among Tyrannidae. Pewees (Contopus), phoebes (Sayornis), kingbirds (Tyrannus), and flycatchers (Empidonax) build cup-shaped nests (the most common shape among tyrannids). Myiarchus and the sulphur-bellied flycatcher (Myiodynastes luteiventris) nest in tree cavities. An enclosed dome-shaped nest with a side entrance is built by the northern beardless tyrannulet, the great kiskadee (Pitangus sulphu-ratus), and the rose-throated becard (Pachyramphus aglaiae).